I’m in love with the autumn weather in my new home state of Tennessee. I relish in the leaves as they wave to me from their boughs, showing off their blazing reds, vibrant oranges and luminous yellows. As Michael and I take our daily jaunt into downtown Franklin, leaves shower from the trees above, frolic and play for a whisper of a moment in the breeze and collect around our worn leather boots. Morning times are filled with wonder and beauty as fog gracefully laces the paths between rolling emerald fields peppered with bales of hay and cows enjoying their morning graze. Trees with arms like scarecrows bend and bow and give way to the weight of apples, which are scattered at its roots like a piñata with it’s stuffing knocked out. Pumpkin fields are dotted with jade foliage and lurid orange pumpkins. 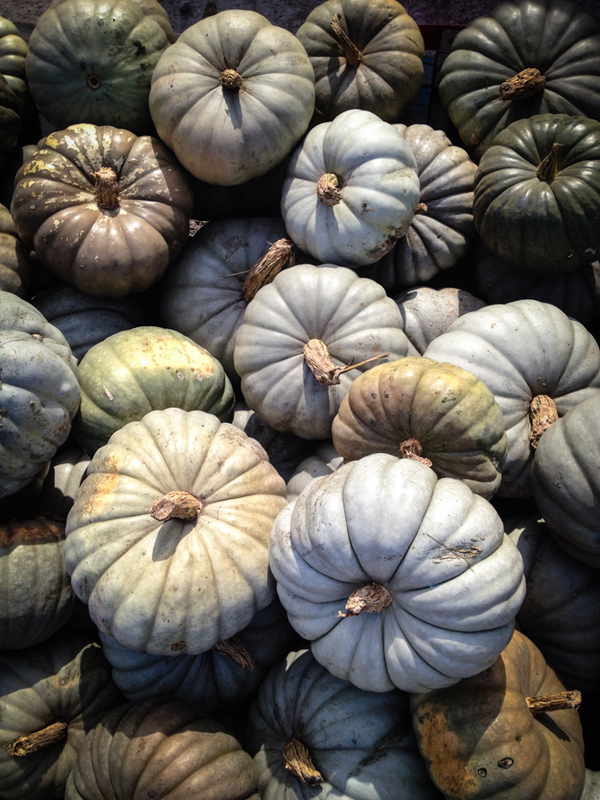 Farmers markets overflow with spotty gourds, ice blue pumpkins, rainbow hues of Indian corn and luscious, sharp apples. I have never lived so far north where there were so many varieties of apples at the farmers markets. I plunged the apple cartons and brought a beautiful bounty home to my cozy Tennessee loft. I stare outside at the fiery leaves, wondering what I should make with my glut of apples. 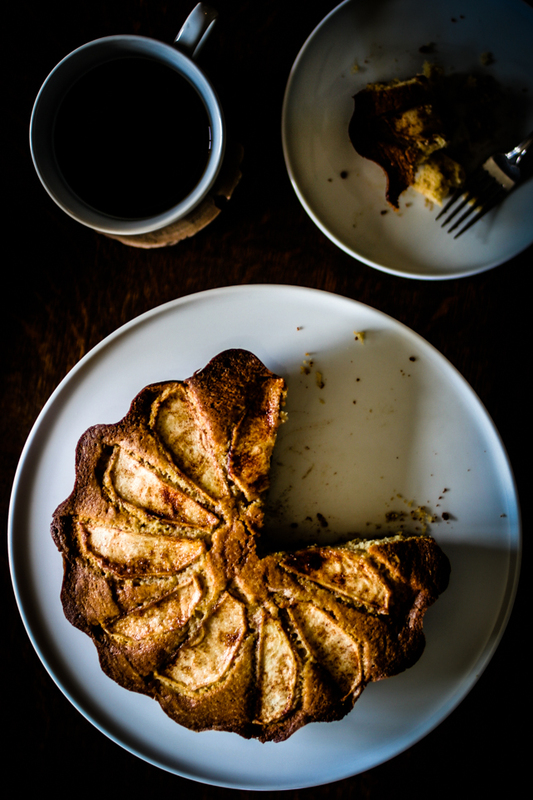 I gaze at my afternoon coffee and realize I want an apple coffee cake. I begin whisking together flour, eggs, fresh pressed apple juice and toss the fresh apples and spicy cinnamon in my trusty cast iron skillet and baked it till golden brown. I sit quite content with my apple cake in one hand and coffee in another, being entertained by the pirouetting of leaves outside my window. There’s no place I’d rather be than my cozy corner in Tennessee. Note: I have made this cake in a loaf pan, cast-iron skillet and a cake pan, and it came out beautiful every time. For the loaf cake, I diced the apples and allowed the cake to cook a few minutes longer. For the skillet and cake pan, I sliced the apples and fanned them out on the pan. Grease a 10” skillet with butter or vegetable oil. Set aside. Toss diced apples, ground cinnamon and 2 ½ tablespoons granulated sugar together in a medium-sized bowl. Whisk flour, baking powder and salt in a large bowl. 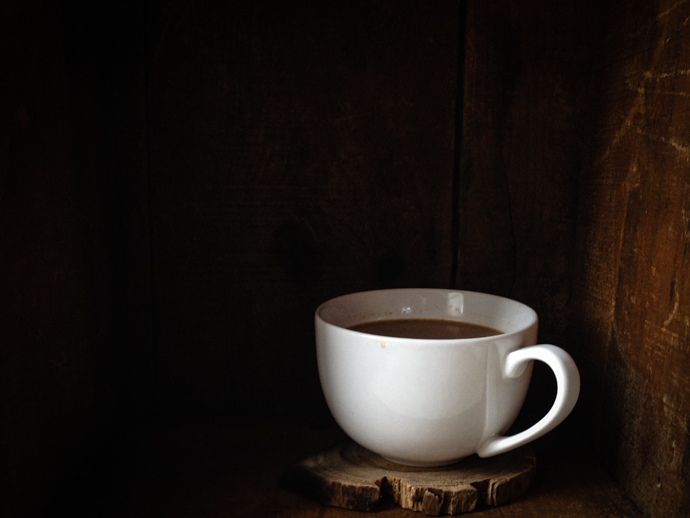 Whisk the remaining ½ cup of granulated sugar, ½ cup of brown sugar, melted butter, apple juice, vanilla extract and eggs together in a medium-sized bowl. Stir the wet ingredients into the dry ingredients, making sure all of the components are well combined. Pour half of the batter into the greased skillet. The batter will be very thick so you may need to use an offset spatula to even out the batter in the pan. Spread half of the apples over the batter. Pour the remaining batter over the apples and top with the remaining apples and whatever liquid was released from the apples. Bake for 1-1 ½ hours or until a tester comes out clean. Cool on a rack and transfer onto a plate and dust with powdered sugar. Enjoy! A very beautiful cake and a lovely written post. I love autumn as well and your description is impeccable. Thank you so much! Autumn is such a wonderful time of the year with such dramatic change. I love it! Yes, and I love the south too. As a young girl my family lived in Northern Arkansas for a few years (until my mom insisted we leave after three tornados whipped through the town in one night). A gorgeous area of the USA. You have a beautiful blog. Oh my goodness! I’m so sorry. My family and friends have lost so many homes to hurricanes while living on the Gulf of Mexico. Actually, I was so affected by the natural disasters happening in my home state that I decided to go into Environmental Science and became determined to do something about it. Who knew I’d end up writing about the South and sharing stories in order to preserve my lovely, Southern home! God works in wonderful ways! Thank you again for the kind words! This IS a great cake! Lovely recipe! Oh it was a lovely slice of autumn! Sure! Just divide the apples and batter in a greased muffin pan. Keep an eye on them after about 15-20 minutes. The time they take to bake depends on your oven ( if it runs cool or more warm.) Hope that helps! I can’t wait to try this! (Sorry if this post appears twice, the Internet ate my last one). I know apple weights will differ from type to type, but I don’t have a kitchen scale handy and am therefore compelled to ask – how many apples, approximately, would make 12oz? No worries! I used 2 large apples for this recipe ( or 3 smaller apples.) I usually use Honey Crisp when they are in season, but I’ve also used Golden Delicious and Granny Smith. Hope that helps! Thank you! I’m using arlansas black apples right now. And I’ll keep you posted! I’m making this in Canada, and think that our butter is likely packaged differently here. One package of butter is 2cups. Thanks for bringing that to my attention! It’s 1/2 cup of butter. I updated the recipe to say 1 stick= 1/2 cup of butter! Happy baking! 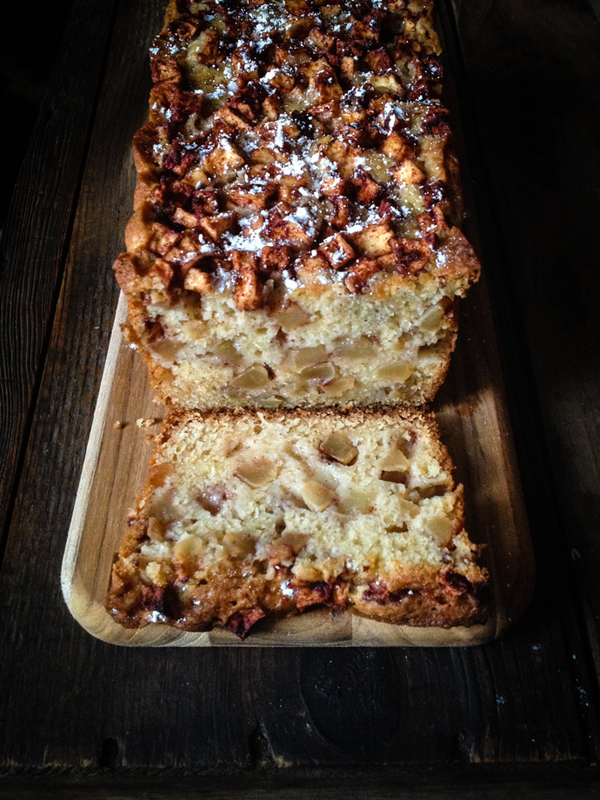 This apple cake looks so dang yummy! I need to make this SOON. This is my first visit to your blog. I will definitely be coming back! I actually used to live in Franklin, TN. I only lived there for 1 year, but it is a very nice place. I miss the Carnton Plantation House and eating at Sopapilla’s. If you haven’t eaten there ever, you need to go. It is seriously some of the best Mexican food I have ever eaten in my life! Thank you so much for the kind words! I adore Franklin (including the Carnton Plantation!) I have yet to eat at Sopapilla’s though. I travel a lot and when I get home, I love cooking in my kitchen! I will try it soon though! Thank you so much for stopping by! I made this and it’s absolutely fantastic, but the bottom tends to come out dry. How can I fix that? Oh I’m glad you like this recipe! It could be the type of pan you are using. The cast iron skillet will make the cake drier at the bottom, but a regular cake pan or loaf pan allows the cake to be more moist at the bottom. Hope this is helpful!